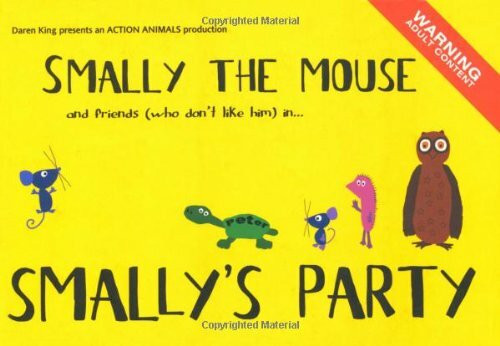 Smally The Mouse doesn't have many friends. He doesn't know that, so when he has a party he invites everyone he knows. The party's crap - no strippers, no booze. Things liven up when The No Purpose Tortoise cops off with Paula the Sexually Available Female Hedgehog in Smally's bedroom. But it all gets out of hand when Two Hoots produces an extra little treat for the party animals, and it's up to Smally to save the day with his nice balloon. In this wonderfully quirky and hilarious illustrated book, Daren King, the acclaimed author of Jim Giraffe and Boxy an Star, has managed to portray the betrayal and disappointment we've all felt at a bad party and the need for drugs that they always seem to engender.